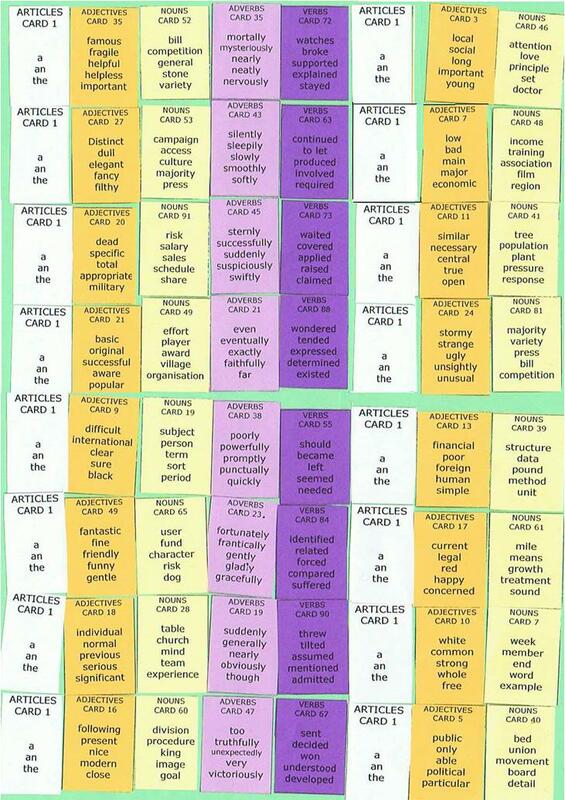 This Sentence Master English Writing Grid Quiz has 8 lines of 8 word cards. Players can use only one word from each of the word cards to create eight or nine word English sentences. The famous competition smoothly produced the important film.